Originally titled Hard Powder, this story of revenge is based upon the 2014 Norwegian black comedy In Order of Disappearance (Kraftidioten). Liam Neeson plays Nels Coxman, a snowplow driver whose son appears to have died of overdose. Nels will try to find the truth, looking for a drug lord called Viking, played by Tom Bateman (Murder on the Orient Express, Snatched). Viking's men will be disappearing one after another in strange circumstances at the hands of this badass vigilante. The main cast is completed by Laura Dern performing his wife (Big Little Lies, Twin Peaks), and Emmy Rossum is Kim, the local detective (Shameless, The Phantom of the Opera). Where was Cold Pursuit filmed? The great snowed outdoors pictured in the film are from the Kananaskis Valley in the Canadian Rockies. The graveyard is situated under the Fortress mountain (left) and Gusty Peak (on the right). 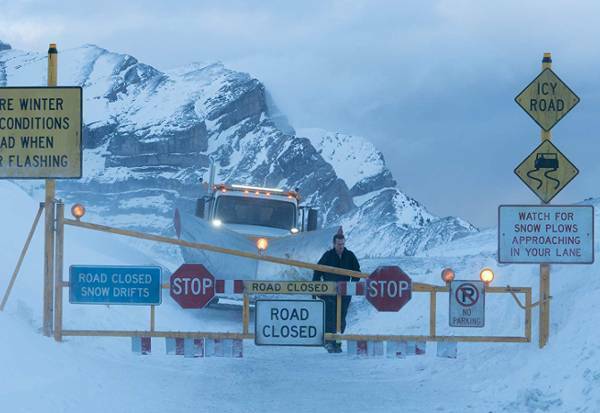 The filmmakers had planned to shot in Banff National Park, but the direction of the park didn't liked the fact that one of the bad guys is an Indigenous gang boss, and the the filming permit was revoked. Cold Pursuit is set in the fictional town of Kehoe, Colorado. The cute town of Fernie (BC) doubled as Kehoe. According to Tourismfernie.com, the movie was also filmed at Fernie Alpine Resort and at the Cranbrook Airport. The bar is The Bourbon pub at 50 West Cordova Street in the city of Vancouver. Lisa's Bridal Salon in New Westminster was used to host a short action scene. A scene was shot in the City Centre Motor Hotel on Main Street (Vancouver). We recently saw this colorful and striking building in the pilot episode of Deadly Class series, also filmed in the Vancouver area. Also according to Whatsfilming.ca, some more Cold Pursuit shooting locations include Cranbrook Airport, the Olympic Village of Vancouver, the Former Canada Post Building, a private residence in the British Properties neighbourhood and Lord Byng Secondary School (the exterior of the High School of Riverdale series). 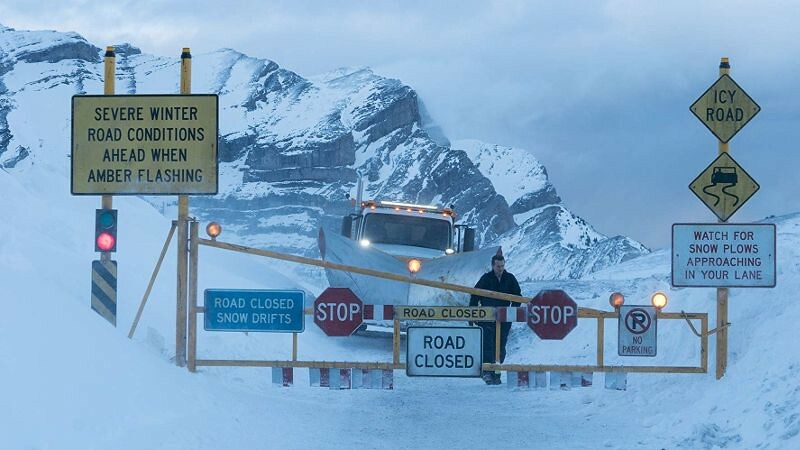 Can you help to improve this article about the filming locations of Cold Pursuit? To complete and correct this report, any feedback, info or images that you may have are more than welcome, thank you! Amazing pictures! British Columbia, Canadá, Vancouver, very nice!! !